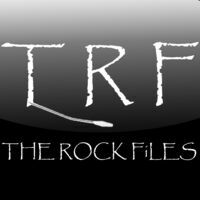 filed under "The Rock Files" on his computer, hence the name. Although meant to be only a studio project in the first place, the album A LiFE ON EARTH has also been played live in dutch theaters. a video wall telling the in-depth story on overcoming depression and despair. Now the project is back to base. New recordings are being made with talented musicians.